The LG V35 — like many smartphones on the market — has a beautiful display; however, we so often seem to ruin them over time, often after just having them for a couple of weeks. We put them through all sorts of abuse — setting them face down on rough surfaces, letting change and keys rattle around with our phone in our pockets, and more. There’s no wonder why our smartphones are so scratched and marred up! Luckily, for a couple of dollars, you can prevent this from ever happening again. If you follow along below, we’ll show you the best screen protectors for the LG V35 ThinQ. Here are our top picks. One of our favorite screen protectors is the Orzero tempered glass protector for the LG V35 ThinQ, and for good reason. First, this is one of the few 2.5D curved glass protectors available for the phone, offering you full-screen protection. This isn’t a protector that just keeps your screen protected, but the outer edges as well. 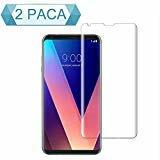 The tempered glass has a hardness rating of 9H, so it should be able to keep your smartphone protected against all sorts of potential damage, whether it be from keys or change, or something a little more major. It is self-healing, so you should see minor cuts and scratches actually disappear over time. The neat thing about this protector is that Orzero does offer a lifetime replacement warranty, so if it ever gets destroyed or too damaged, the company will replace it hassle-free. We’re big fans of what BBInfinite is offering, too. The value for money is nice, because you get two screen protectors for just $10. 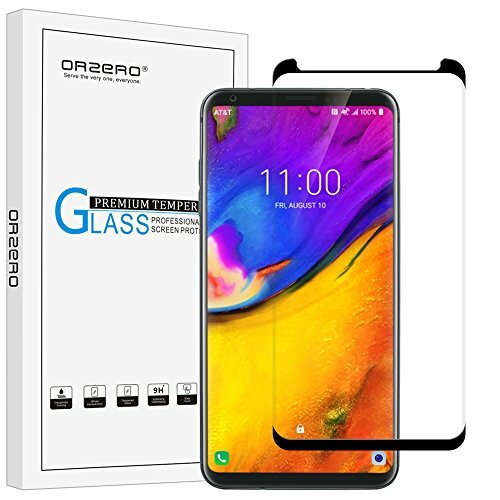 This is a tempered glass screen protector with a hardness rating of 9H, and it has a 99.9% transparency rating, so you shouldn’t lose any screen quality to the extra layer either. This is another one that’s self-healing, so minor scratches and cuts disappear over time — protectors like this actually do really well because they can take the impact from a fall or drop, keeping your actual display from cracking or shattering. This one doesn’t offer full screen protection, but it will keep your entire display free from scratches. The LK Liquid Skin screen protector is another neat option for the LG V35. It actually offers some impressive value for money, giving you three screen protectors for $9. It doesn’t have the superior protection of tempered glass, but it does still offer decent protection against scratches and minor abrasions. You can safely put your phone in your pocket and not have the screen get all marred up; however, a Liquid Skin — essentially plastic — screen protector like this isn’t going to be able to absorb any sort of impact. It does have a anti-bubble application, and LK does offer a lifetime replacement warranty on it. IQShield is well known for its superior screen protectors. This particular one is the traditional Liquid Skin material, which will protect you against minor scratches, buts, and abrasions. 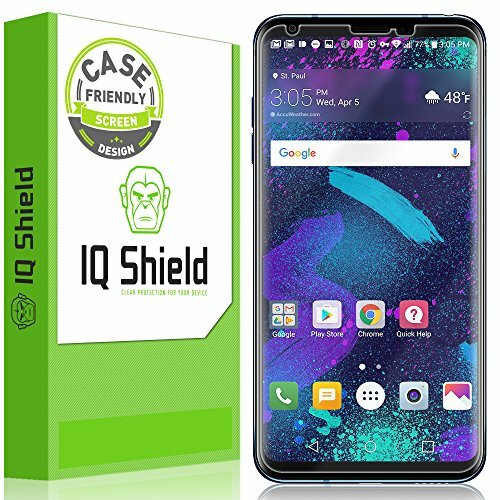 It’s not tempered glass, so you won’t get ultimate protection, but IQShield’s Liquid Skin material is still no slouch — a special manufacturing process ensures that the protector doesn’t have any yellowing, has a self-healing durability, and even has high touch sensitivity. 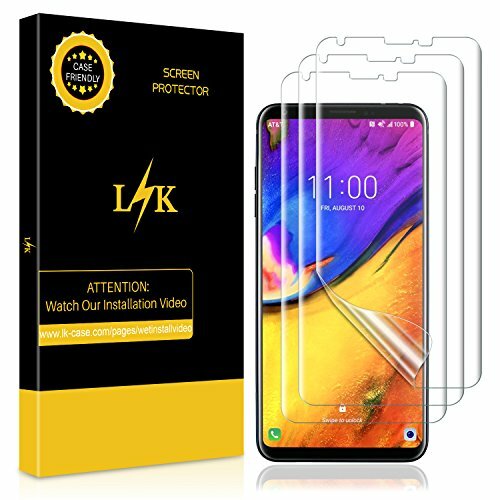 It is a high definition screen protector, with the transparency rating sitting at 99.9% — you shouldn’t lose any screen quality, even though it is a different material. The Supershieldz is a tempered glass screen protector, giving your LG V35 ThinQ the most ultimate protection. It has 2.5D rounded edges, so you get full screen protection with this protector, not just your phone’s glass. The value is fairly nice in this one, getting you two screen protector for just $11. It has a transparency rating of 99.9%, which means you won’t lost any screen quality — you should still get that same, rich media out of your display. A special coating on top repels fingerprints and water. Get yours at the link below. 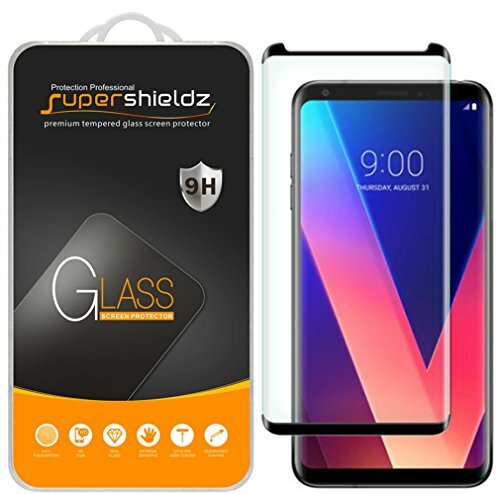 As you can see, there are a lot of different screen protectors available for the LG V35 ThinQ — really, any one of these is going to keep your screen free from scratches, cuts, and minor damage; however, you’ll no doubt get the most protection out of the tempered glass material — tempered glass is definitely the way to go if you have that option.